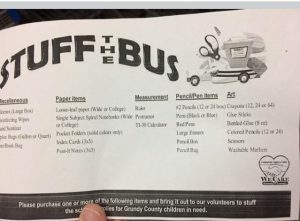 The Gibson City location was a proud participant in the 2017 Stuff the Bus campaign for Handles of Hope, NFP. 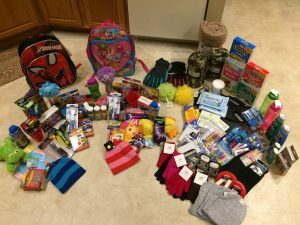 Handles of Hope is a not for profit organization that donates bags filled with basic necessities, hygiene products, and coping skill items to people of all ages entering foster care and homeless shelters. Each year, since the group’s inception, our Gibson City location has donated a bus and their time to collect donations for this organization that helps so many. With the haul this year, 400 bags will be able to be distributed to folks in need. A big thank you to the Gibson City Melvin Sibley School District for allowing us to use the bus for such a great cause.